Hi friends can anyone tell me windows 8 release preview do require any type of antivirus to keep it safe from viruses as my laptop is for my office since I liked windows 8 release preview I have installed it in my laptop but I don’t want to take any chance with the office data please help. Re: Does windows 8 release preview windows defender requires any antivirus? If you are using the Original Operating system in your laptop or in your system then you are safe from many types of Viruses and the Worms and the Mal wares, if you are using the Copied operating of the Window 8 then you are not fully Safe from the Unwanted Viruses and the Other Destructive elements in the computer. So For the preclusion Computer. I will recommand you to install the Any of the Good and update version of the Antivirus to keep safe your system and the laptop. For the Original copy of the Operating use the any of the Antivirus and keep it update. It will help you to keep safe your system and the laptop. Yes like any other computer system, the Windows 8 computers can also get infected to the vitus/malware. So, Antivirusis needed. It not a big deal . If you are using full and original version of window 8 then it will protect your PC with many virus. But every window verison need a antivirus for protect the PC. So I should to use a antivirus. windows 8 release preview windows defender does not requires any antivirus with it.. But this Window is not the full version , So, it will not fully protect you from all Virus .. So, I will Suggest you to download and install any other antivirus for you system protection from Virus..
And don't forget to keep your antivirus update ...It will make your antivirus able to detect the latest thread ..
Dear window defender of window 8 operating system is strong but dear some viruses or threats for your computers are not detected or blocked by the window defender so you have to install an anti virus to stay fully safe from virus attacks and marl wares. 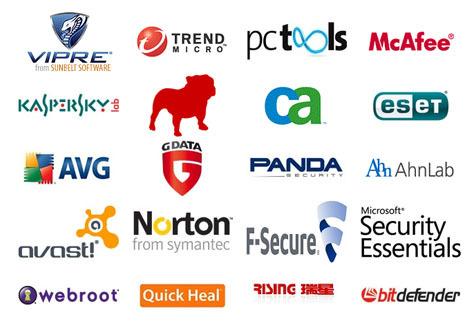 so dear these days many good anti viruses available which can help you to retain your system free from any kind of problem regarding virus etc. So dear i suggest you to install anti virus on your system and update it and stay safe from viruses. From my side I think there is a need to install an additional antivirus software to keep files safe . Windows defender will not be able to protect all the data's by alone . It will only provide safety to your hard disk and not from an removable disk or internet hackers . As you want your files to be protected from external thread and if you are using internet regularly then you must install a well known and strong Antivirus software in your computer like McAfee , Kaspersky or Avast .